Once you’ve taken a few test-drives and picked out the new, used or Certified Pre-Owned INFINITI you’d like to drive home, you can meet with our INFINITI financing team to go over your lease and loan options. The finance team at our INFINITI dealership near Waterbury, CT, will help you find a finance plan that works for your specific situation. 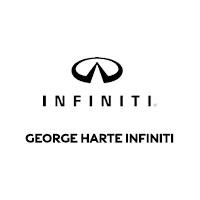 Whether you want to buy a new INFINITI QX80 or a pre-owned INFINITI Q60, you’ll get the INFINITI financing assistance you deserve at George Harte INFINITI. You may be wondering about the benefits of an INFINITI lease vs. an INFINITI loan. An INFINITI lease would be better suited for you if you want to upgrade your luxury SUV or car within a few years. If you want to make payments toward ownership, we can set you up with an INFINITI loan. Learn more about the benefits of each when you visit George Harte INFINITI. Review your INFINITI financing options and buy or lease a new car or SUV with us today!